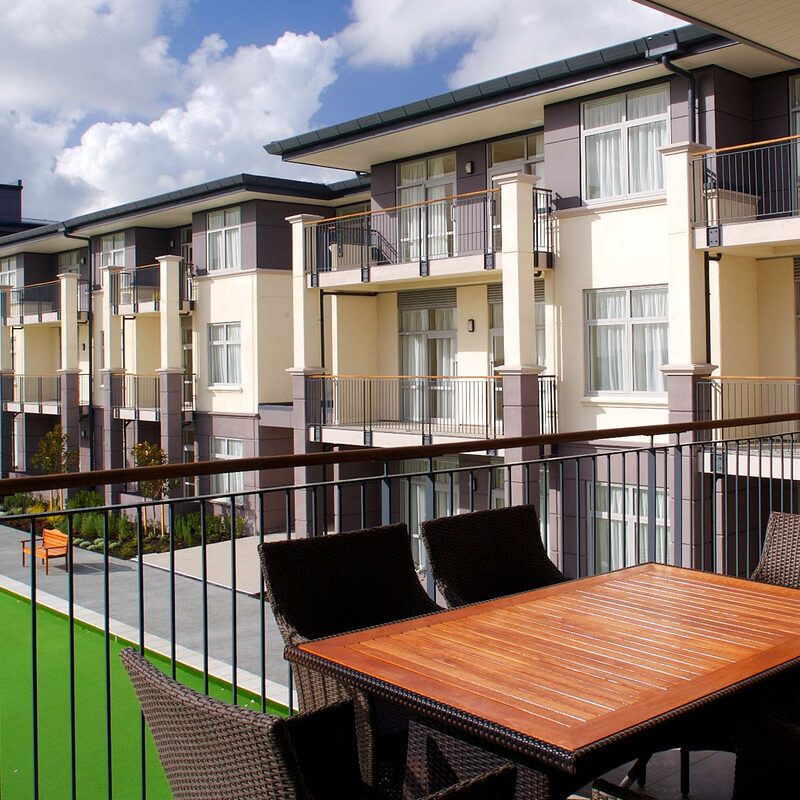 Precast concrete balconies are usually purpose-built to tie in with the particular concrete flooring system. Balconies are produced under factory conditions and are made to suit the client’s requirements and to match floor and finishes depths. Structural design is in accordance with the Building Code and the client’s loading specification. Concrete surfaces are generally as cast from high quality steel moulds. This provides a high quality concrete surface or a sound base for site-applied finishes such as ceramic tiles. Wilco has the capacity to manufacture a large variety of balcony panels, fast and economically, to suit tight construction programmes and budgets. Orders can range from one unit to several hundred, depending upon the size of the project. Precast beams and columns are a cost effective way of providing a fire resistant concrete system that can be used for parking garages, offices, apartments or almost any construction project. A complete precast concrete beam, column, and flooring system can be used in place of most steel or timber systems. Wilco has the capacity to manufacture columns to suit any precast projects. From multi-level offices and apartments to single level carparks, Wilco’s state of the art precasting facility allows for flexibility in manufacturing various size columns from square to rectangle, single or multi floor height columns with or without corbels. Panels are manufactured by the application of a chemical retarder to the concrete surface, normally by painting the mould surface prior to the casting of concrete. This delays the surface cement paste from hardening for a particular period of time, and to a depth dependent on the type of retarder. The retard depth is typically 1/3 the depth of the coarse aggregate to ensure the stone is anchored into the panel surface. After the precast panel has hardened sufficiently to permit its removal from the mould (usually overnight), the outer layer of cement paste is removed by brushing, by high-pressure washing or by a combination of both. With the removal of the cement and sand from the concrete surface, the coarse aggregate provides the texture and colour of the precast panel. Architectural precast is the cladding material of choice whenever superior aesthetics or construction economy is required. Precast cladding combines the benefits of high durability, low maintenance, excellent fire resistance and energy efficiency. All precast is factory manufactured ensuring consistent quality. The versatility provided by architectural precast is appropriate for use on high-rise office buildings, where the emphasis is on prestige and aesthetic appeal; low-rise industrial structures, where economy and durability are paramount. The true benefit of architectural precast is found in the virtually limitless architectural effects that can be achieved with its use. Precast concrete staircases and landings are purpose built to suit those areas of the building where solid reinforced concrete construction is needed. Precast landing and stair flights are made to suit the client’s requirements and to match floor and finishes, within the practicalities of transport and erection. Concrete surfaces are generally as cast from high quality plywood or steel moulds. One surface, the top, bottom (or one edge at the manufacturer’s discretion) will be trowelled or, in the case of landing slabs, may be left rough to receive a screed. They provide immediate access for following trades and expensive formwork and temporary propping are eliminated. Wilco has the capacity to manufacture a wide variety of stairs and landings, fast and economically, to suit tight construction programmes and budgets. Orders can range from one unit to several hundred, depending upon the size of the project. Precast walls (in conjunction with beams and columns) can provide the entire structural shell of almost any building. Wall bearing with precast walls is a fast and economical means of designing a load bearing wall system. 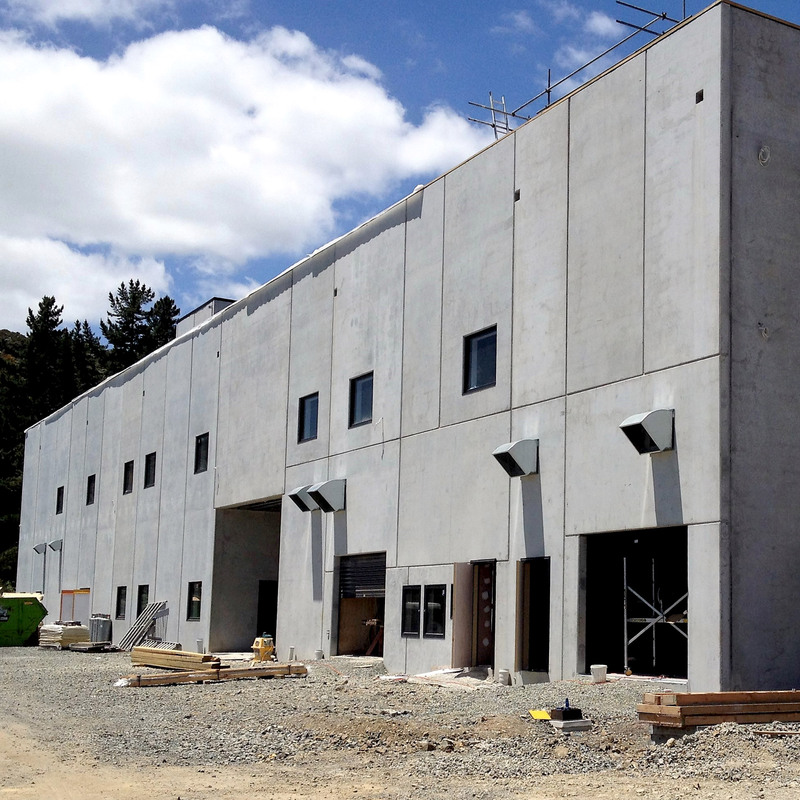 The precast walls are ready for textured paint or plaster finishing systems. Electrical conduit and boxes can be cast into the walls during the precasting of the units. Panels can be manufactured up to 15 metres high and used for a variety of applications from industrial warehouses to fast-food outlets. Precast components for civil engineering projects will speed up the construction time, save on-site labour costs and ensure consistency in appearance and concrete quality. Panels can be more cost-effectively produced with aesthetically-pleasing surface textures compared to in situ concrete placement – and they can be designed to blend in with the surrounding environment. Precast concrete offers unlimited surface possibilities as features can be incorporated into the panel mould before manufacture. Careful planning can allow the extra cost of a textured surface for a facade to be offset against a plain surface on an unobtrusive wall. 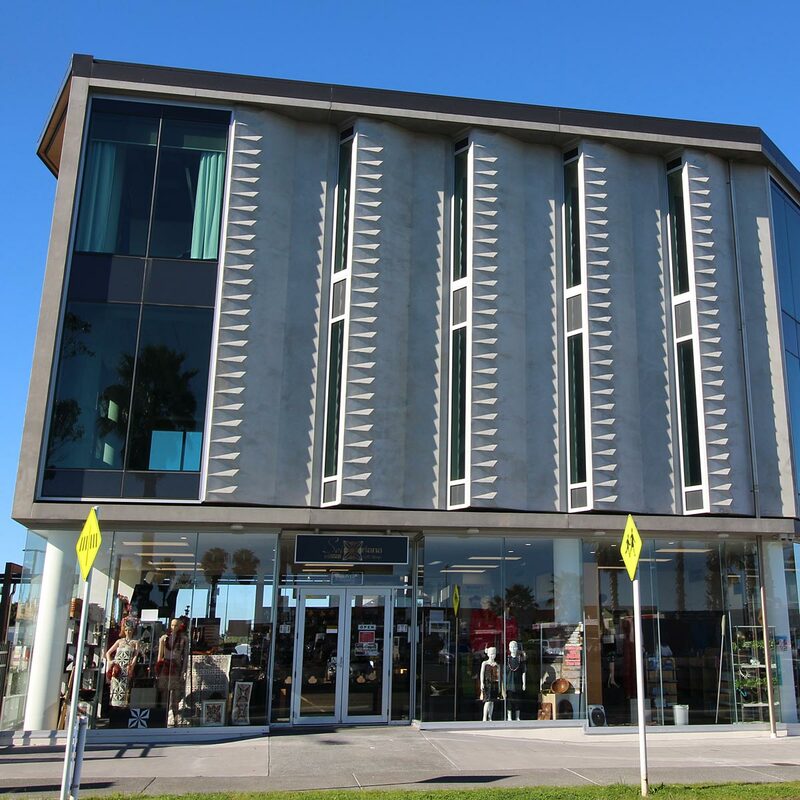 An excellent example of this is the symbolic triangulated Samoan tapa cloth design running vertically up the leading edge of the precast fins on the Samoan Consulate Building in Mangere. The texture was achieved by installing individual triangular rubber formliners on to the mould face prior to casting. Formliners are available in a large range of standard designs or can be customised to suit, as in this case. EcoRetainer™ is an example of Wilco’s civil construction capability. The patented product was developed in a joint venture with EcoRetainer Ltd, to find an environmentally sound use for used car and truck tyres. EcoRetainer is a large precast concrete block, 1.8 m x 1.6 m x 1.0m, encapsulating a compressed bale of 110 car tyres or 40 truck tyres bound by galvanised, high tensile steel wire. 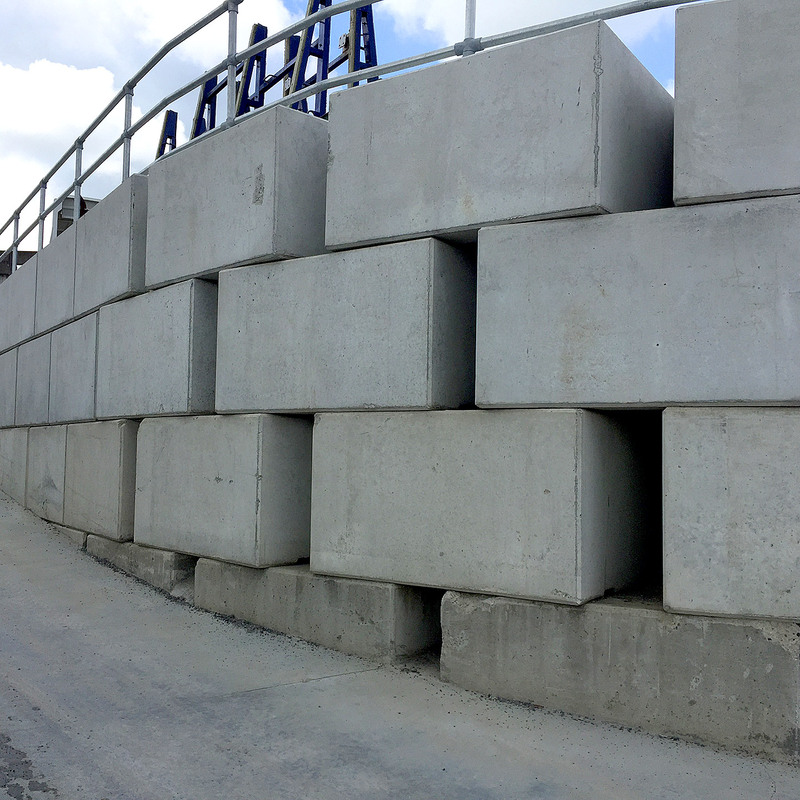 The 4 – 4.5 tonne blocks are designed with dimples and locating channels to interlock at varying angles to form retaining walls, stop banks, sea walls and variety of other infrastructural uses. The walls can be curved to a minimum 6 m radius. 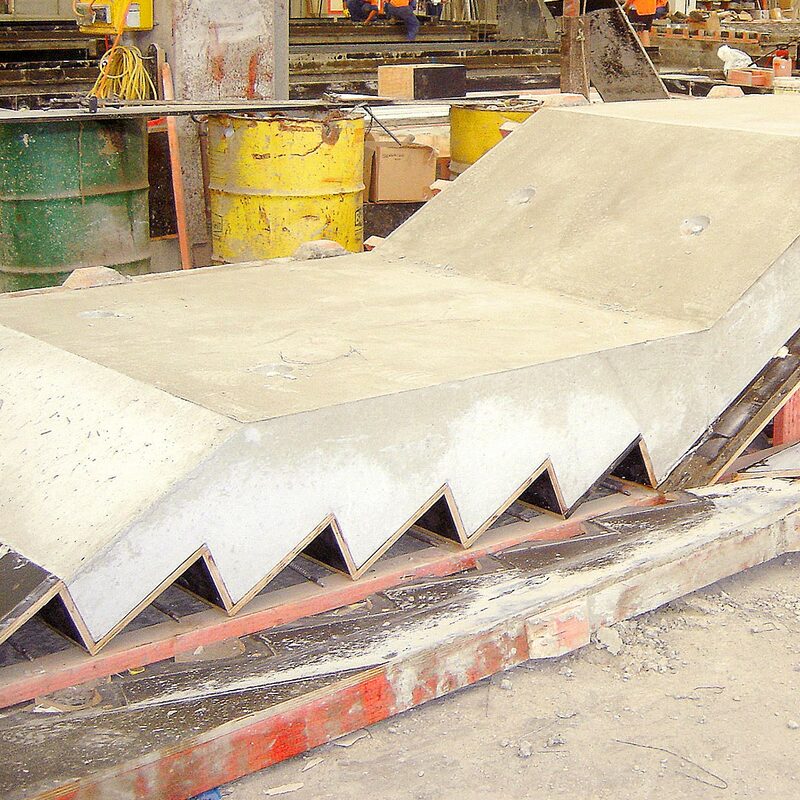 Wilco can install simple rebates or intricate formliners into the purpose-built steel moulds to impart designs into the facing plane of the precast blocks. EcoRetainer is a good news story of Kiwi ingenuity developing a way to turn a source of troublesome and environmentally damaging waste into a useful product. It goes a long way to eliminating an embarrassing statistic regarding New Zealand’s inability to recycle. It also shows that New Zealand can lead the way in developing intellectual property around keeping countries “clean and green” as we claim to be. Wilco Precast is the leader in the manufacture of precast panels for quality residential construction. 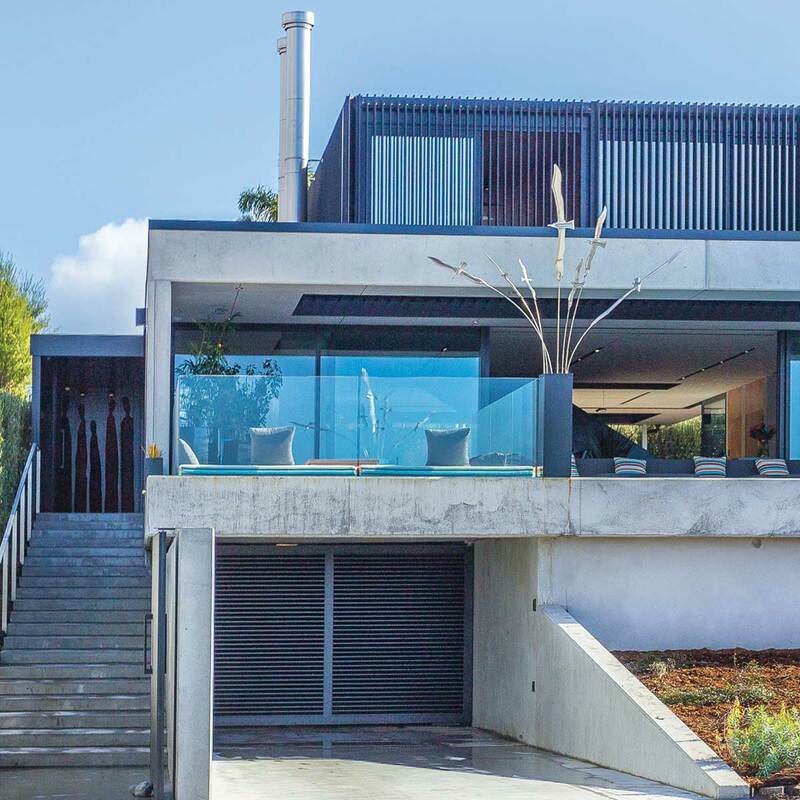 Contemporary or traditional design, this method of construction provides homes that are more durable, rot, mould, fire resistant and also and energy efficient. 150 mm thick panels, which because they have no insulation value, have to be battened on the internal face, insulation installed in the cavities and lined with plasterboard. 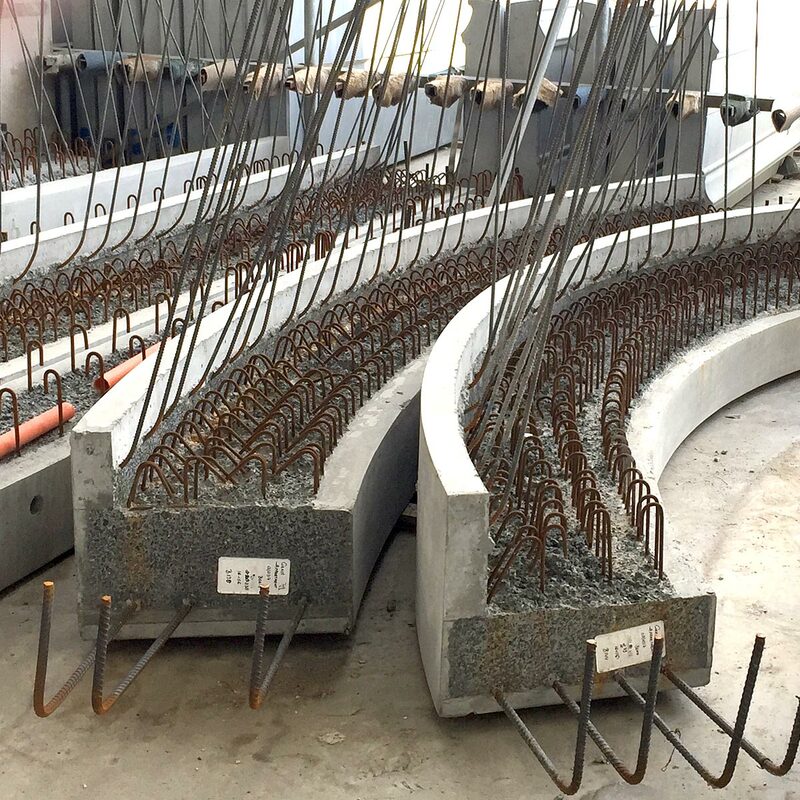 Insulated concrete panels consisting of a 60 mm thick outer concrete layer, 50 mm thick polystyrene and a 150 mm thick structural concrete layer. Overall thickness of minimum 260 mm. No supplementary insulation is required. Litecrete lightweight precast concrete. The pumice aggregate used in the mix provides an inbuilt insulation value so that the panels comply with the Building Code insulation requirements. 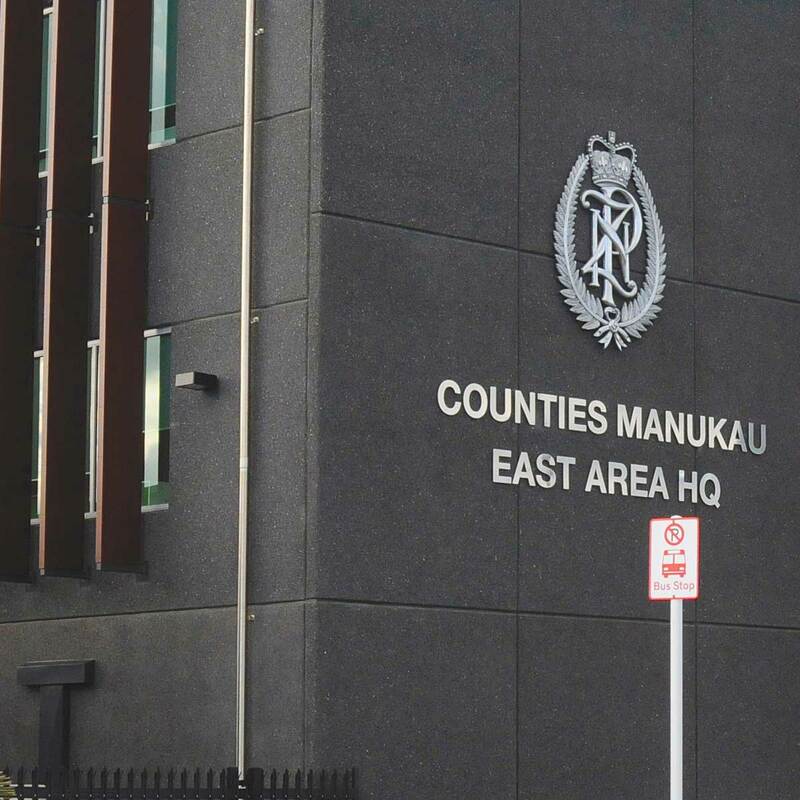 220 mm thickness is required for Climate Zone 1: Auckland, Northland and Coromandel Peninsula. The panels for each option are manufactured at Wilco’s precast manufacturing plant and shipped to the job site where the panels can be installed in a few days. Litecrete lightweight precast concrete is manufactured by Wilco Precast using the same process as for standard precast. Litecrete panels are 40% lighter and can be used in various applications in both residential and commercial construction. Litecrete used as high-rise commercial cladding can help to reduce the overall dead load when used in conjunction with a steel structure and smaller steel members can be utilised, thus saving construction costs. 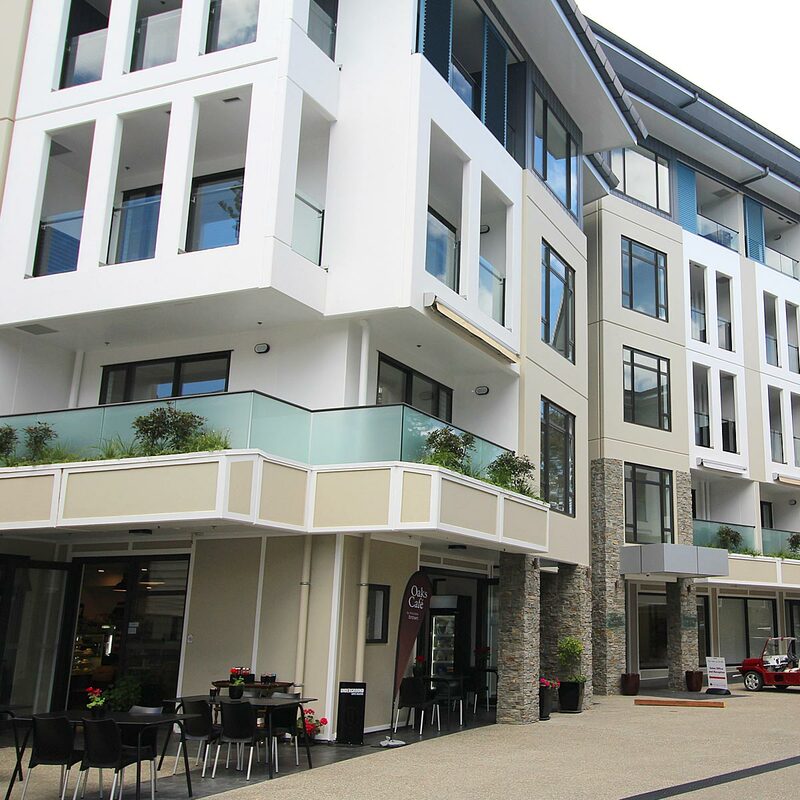 For residential construction, the pumice aggregate used in the mix provides a built-in insulation value which complies with requirements of the New Zealand Building Code. So once the panels are installed they are virtually complete and only require decorating.